Almost any type of candy or snack that comes from Japan always has a 'kawaii' aka cute factor to it with the packaging to match. 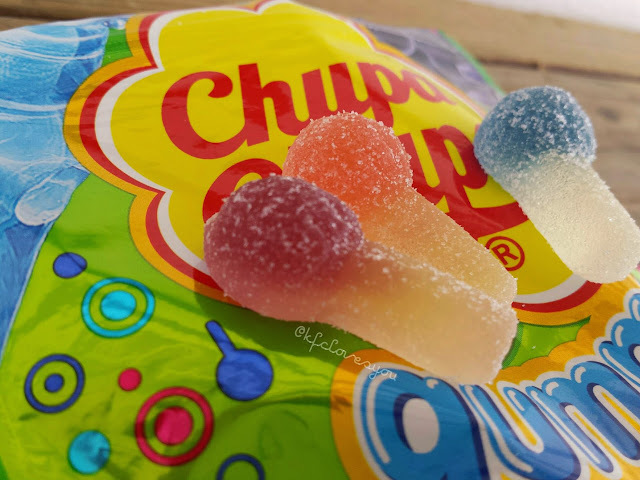 This take on the classic Chupa Chups lollipops is taken into gummy form with three flavors. I can't read Japanese, and the flavors weren't exactly the most distinct, but from the pictures on the packaging, the flavors are: grape, cherry, and ramune/soda. 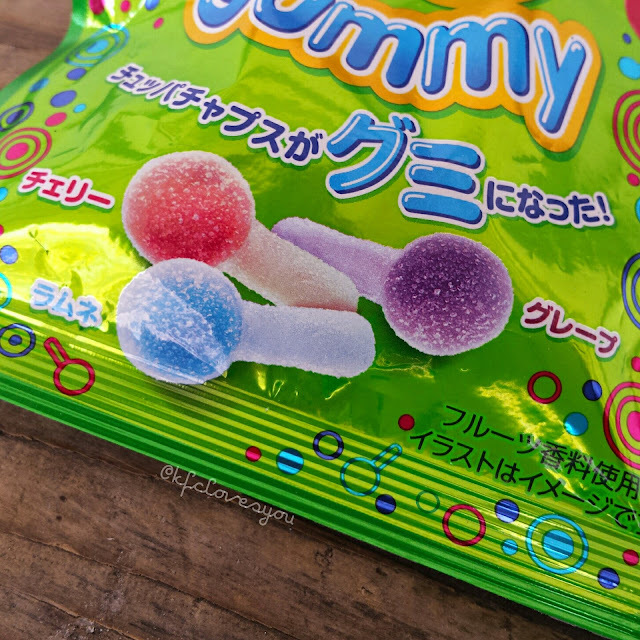 The gummies are in little lollipop shapes coated with a sour sugar dusting. 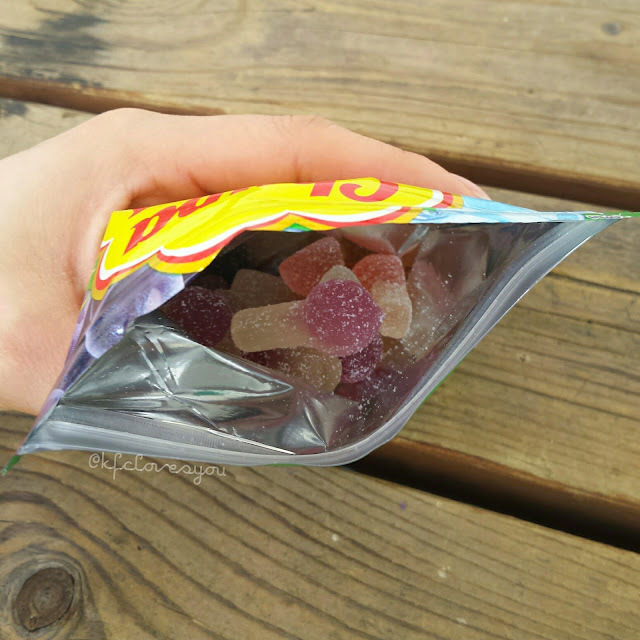 The gummies themselves are pretty firm/chewy, more so than your average gummy but not in a stale way. These definitely don't remind me of the original lollipops anymore after I tasted them. It is for sure a fun candy to try out and it is nice that the bag is able to be resealed so you don't have to finish it all in one setting. This candy is a bit pricey at around $3.79 for the bag, but if you're into confections like me, I'd definitely give it a try if you can find it! 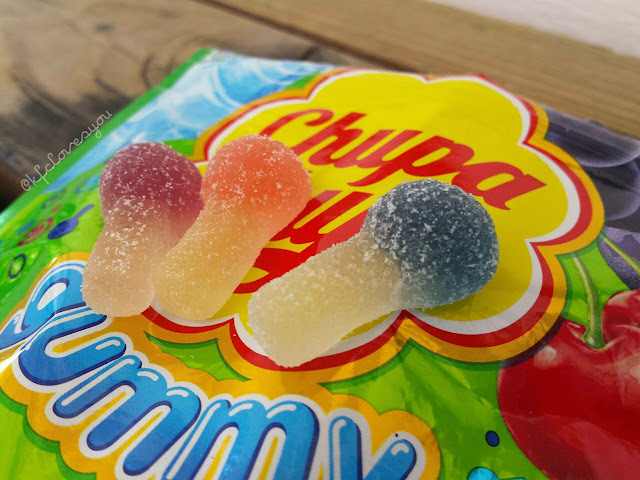 Readers, have you had Chupa Chups before? 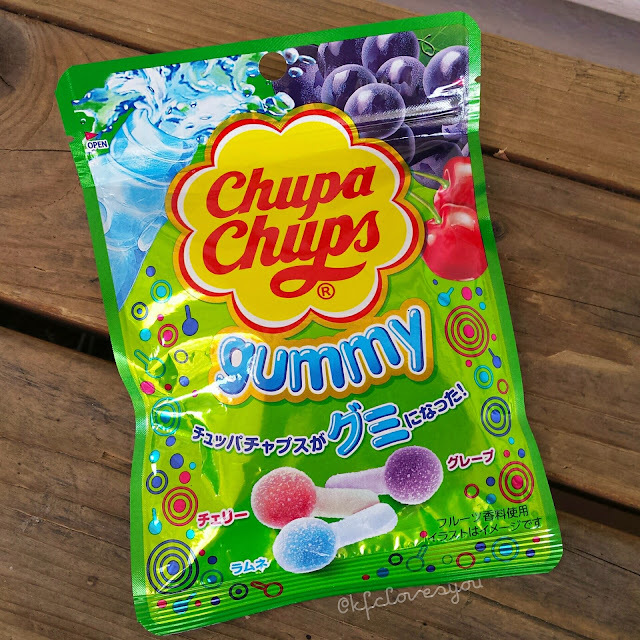 Would you ever try Chupa Chup gummies? Let me know! Lolz! Haha no worries, love the lip color!